The Brewster High boys cross country team took fourth place at the state championships. BREWSTER—The Brewster High boys cross country team, fresh off winning a Section 1 Class A championship, took their act to the state championship meet at SUN… Please login below or purchase a subscription to the Putnam County Courier to access this content. 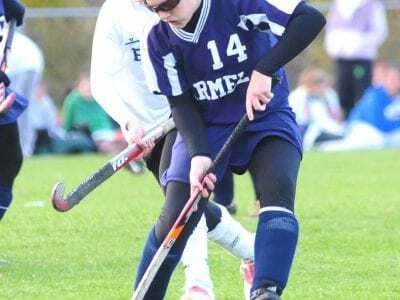 Sarah McCormack CARMEL—The record may not be impressive, but the Carmel High field hockey team showed marked improvement from the start of the season to the end, and coach Colette Brenneman is hoping that momentum carries over to next year. T… Please login below or purchase a subscription to the Putnam County Courier to access this content. Kristen Cartledge SKIP BREWSTER—The Brewster High field hockey team had an up-and-down season, but played well at times, closing out the fall with a 6-5-6 record. The Bears advanced to the playoff tournament, where they drew the No. 5 seed. A… Please login below or purchase a subscription to the Putnam County Courier to access this content. PUTNAM VALLEY—The Putnam Valley high boys and girls cross country teams both enjoyed some success this year. The Tigers won four of their five dual meets, losing only to Ossining, the same team that would edge them out for the league champio… Please login below or purchase a subscription to the Putnam County Courier to access this content. 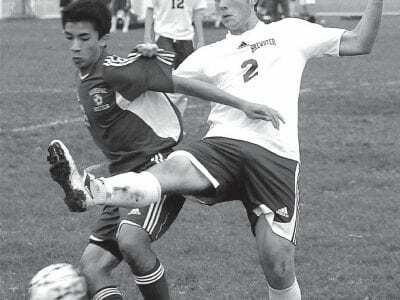 Brian Emery Skip BREWSTER—The Brewster High boys soccer team continued to show improvement, and showed some good signs during a fall season that saw the Bears go 8-8-2 and reach the playoffs. Brewster defeated Peekskill, 5-2, in a Class A out… Please login below or purchase a subscription to the Putnam County Courier to access this content. THE PUtNAM SpORts MAN LYNN E. GREE NWOO D SR. This is a great week to raise a cold apple cider toast to this mid-November column, preceding Saturday’s opening of the N.Y. Southern Tier gunning season for whitetail deer. We are being blessed with good weather for the first few days of the … Please login below or purchase a subscription to the Putnam County Courier to access this content. The Mahopac High School Indians do their community proud on the football gridiron, basketball court, and baseball diamond each year, but as the old saying goes: “Behind every man there is a good woman.” In Mahopac, how about a team of… Please login below or purchase a subscription to the Putnam County Courier to access this content. 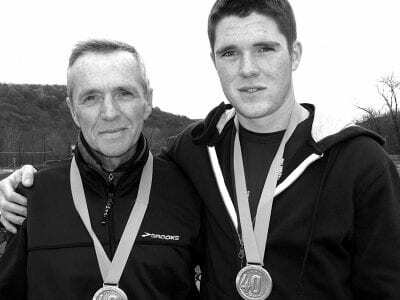 Sean and Brendan Gavin display their 40th anniversary medals from the NYC Marathon Committee indicating completion of the rigorous competition. Brendan and Sean Gavin have a common bond. The father and son, who reside in Stormville, ran the New Yo… Please login below or purchase a subscription to the Putnam County Courier to access this content.